There are many ways to make a bathroom truly luxurious. Although what often comes to mind is a beautiful bathroom vanity or a new tile floor, now, a Japanese invention has allowed homeowners to exude grandeur through their toilet. A recent USA Today article notes that a hotel in New York now features high tech toilets in all of its rooms. The Japanese company Toto is the manufacturer of the devices, called washlets. The toilets have multiple features that make them more like French bidets than your typical American facilities. Each device, according to Toto's website, features five rinsing modes. 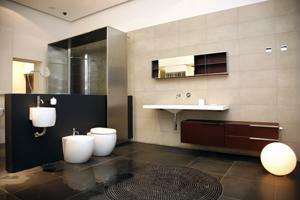 Additionally, the toilets have heated seats, three-temperature warm air dryers and automatic air purifiers. The toilets emphasize cleanliness, with an "adjustable cleansing wand" as one of the features. The device is undoubtedly luxurious, thanks to its deluxe massage and temperature control features. The ability to use a remote control to switch its settings to your wishes allows users to attain maximum comfort and efficiency with the touch of a button. The Kitano is a hotel located in midtown Manhattan. Originally, according to USA Today, the establishment only offered the washlets in their suites. Once the hotel's Japanese clientele showed their appreciation for the toilets, managers decided to install them in each of their rooms. ""Our Japanese families expect them. We thought it would be a great way to make them feel at home, and we thought it would be a great differentiator for our American guests…It's a nice little luxury," Clement Carey, General Manager of Kitano, said, as quoted by the news source. The washlets may in fact be becoming more popular, outside of the hotel as well. Guests staying at the Kitano - or any other establishment that features the toilets - who have never experienced such luxury in their utilities might realize that they can upgrade their own bathrooms with the devices. Carey says that along with the Japanese guests already acquainted with the washlets, Americans staying at the Kitano have also been enjoying its toilets. For those looking to have a truly high-class and extravagant bathroom, these utilities are the perfect addition. All the washlets are deluxe, but those wanting to invest can look into varying models of the toilets that vary in price based on the extent of features.